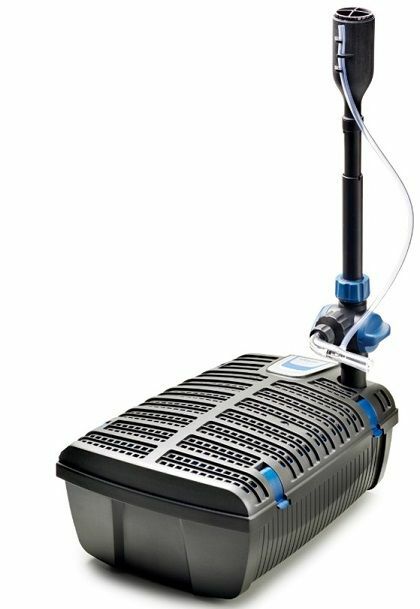 The Filtral Aeration Set can be used alongside the Filtral UVC Premium Filters and Filtral Premium Fountain Kit to oxygenate the pond. The clear air injector branch screws onto the side outlet of the Fountain Kit regulation device, taking a portion of the outlet flow to enact venturi oxygenation. 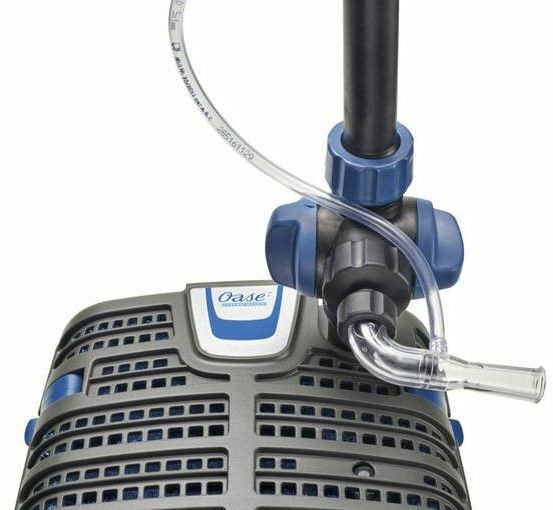 A length of flexible air hose is connected to the air injector and raised above the water surface by clipping into the fountain head component of the Filtral Premium Fountain Kit. Air is drawn down the air pipe and ejected as a spread of fizzing bubbles via the air injector. The air injector can be rotated to change the direction of the air bubble output. This is a very good addition to the OASE Filtral UVC units if being used to filter fish ponds as the fish will benefit greatly from the additional dissolved oxygen. This set can only be used in conjunction with the Filtral Premium Fountain Kit.